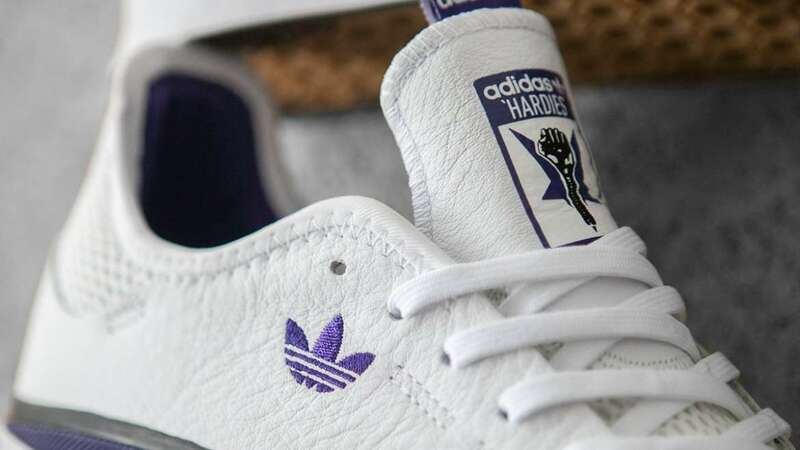 This month, adidas Skateboarding has joined forces with skate label Hardies Hardware. The collaboration includes this edition of the Sabalo, which is dressed in white with purple accents. Vulc soled, adiprene cushioned, leather built and mesh ventilated, the sneaker is now live at shops like Flatspot. for daily kicks in your inbox. Copyright © 2019 by EUKicks Magazine. All rights reserved.